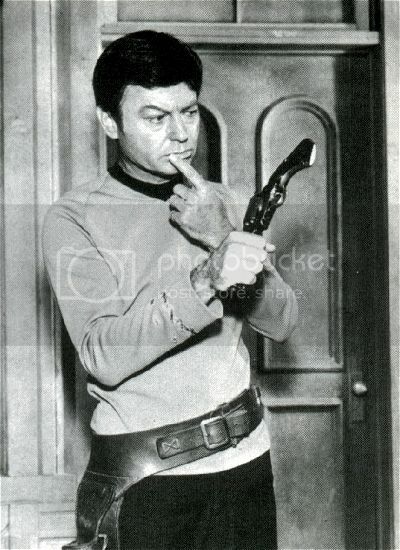 This picture is of Dr. McCoy from the Star Trek TV show. Ummm... He's not pointing it at a Red Shirt?